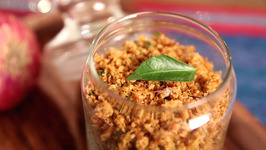 Every Goan, East Indian or Mangalorean family have their own versions of this simple dish. 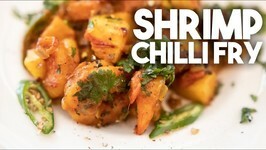 Chilly fry can be made with Beef, Chicken, Shrimp or even Fish. 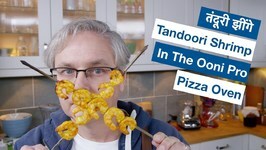 The Ooni Pro was hot... We had some shrimp... Why not see if we could do a Shrimp Tandoori recipe in the pizza oven? 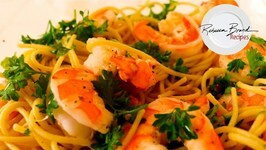 Learn to make Garlic Shrimp. 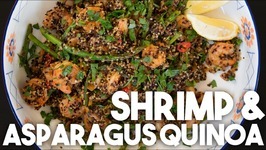 The famous Shrimp New Orleans from Bubba Gump Shrimp Co that you can now make at home! 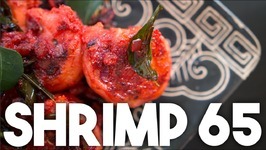 Learn how to make Dry Shrimp Chutney at home with Sneha Nair only on Get Curried. 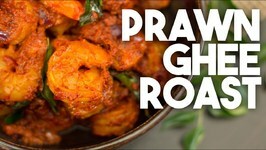 Why stick to the regular chutneys, when you can make delicious and yummy dry shrimp .. 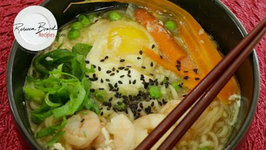 This ramen recipe can be always in your kitchen so you don't ever need to go to the store to get anything. 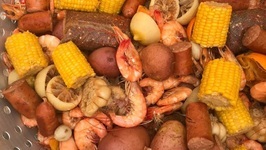 In this video we sail our sailboat Southern Lady for a shake down sea trial to see how she does and we also cook a famous New Orleans recipe called BBQ Shrimp which has ..
Buddha bowls are all the rage. These healthy bowls are all the rage and perfect to kickstart 2018. 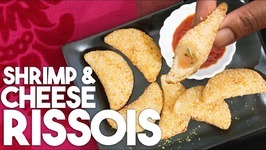 This bowl is packed with goodness and topped with some delectable ..
Rissois is a Portuguese deep fried favourite snack, traditionally stuffed with a shrimp and cheese filling although you can now get it with many other types of filling. 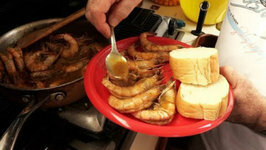 In this video I share a few "pro tips" about how to boil the "Perfect" shrimp so even if your doing this for the first time, you will have great results. 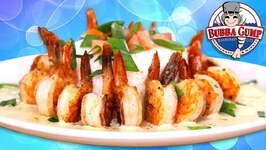 You can enjoy this copycat recipe for my copycat Chinese Buffet Seafood bake. 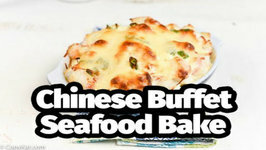 A similar recipe has been served at many Chinese buffets everywhere. 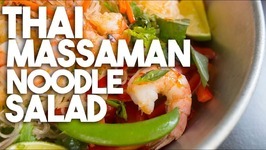 This Easy Weeknight Meal salad is made with delicious Thai ingredients that smother gluten free glass noodles made with bean thread. 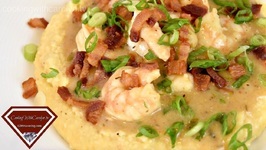 One of my families favorites during vacations this is shrimp over cheese grits. 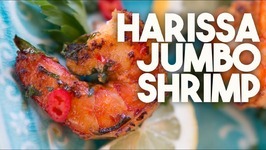 Following the popularity of Chicken 65, this Shrimp version packs all of those great flavors and marries it with Shrimp. 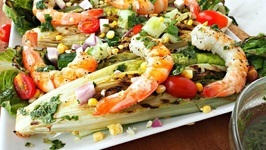 This easy and DELICIOUS salad is the perfect Summer recipe. 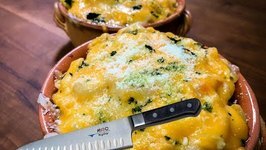 You can throw all of the ingredients on the grill and it will be ready in minutes. 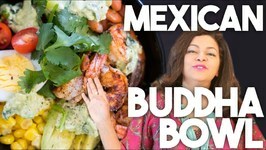 In this video I make a Baltimore style crab cake topped with a Orange Chipotle sauce that was truly incredible! 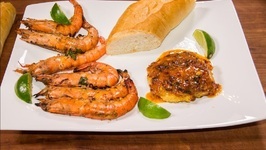 Also I grilled some Caribbean BBQ Garlic Shrimp using a ..
Shrimp and Asparagus is a marriage made in heaven and paired with garlic and paprika and tossed together with cooked Quinoa is so hearty and healthy. 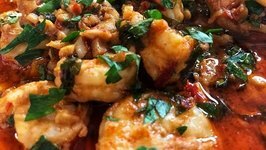 Harissa is a wonderful condiment made with Chilli, Garlic, Spices, lemon and Olive Oil. 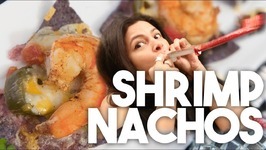 This is becoming very popular in restaurants and grocery stores. Let them eat Swedish Sandwich Cake! 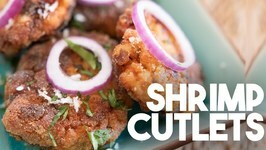 This savory cake is a BIT hit! 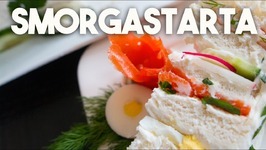 Stack it with Shrimp, Smoked Salmon, Eggs, Cucumber Radish, Slather in Cream Cheese and Sour Cream and ..